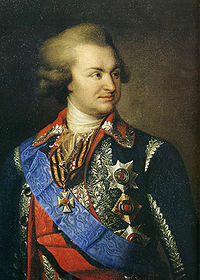 Count Grigory Potemkin was a field marshal, prime minister, and "prince" of the Russian Empire during the reign of Catherine the Great. He is best remembered for the concept of the Potemkin village. This page was last modified on 16 February 2017, at 22:37.